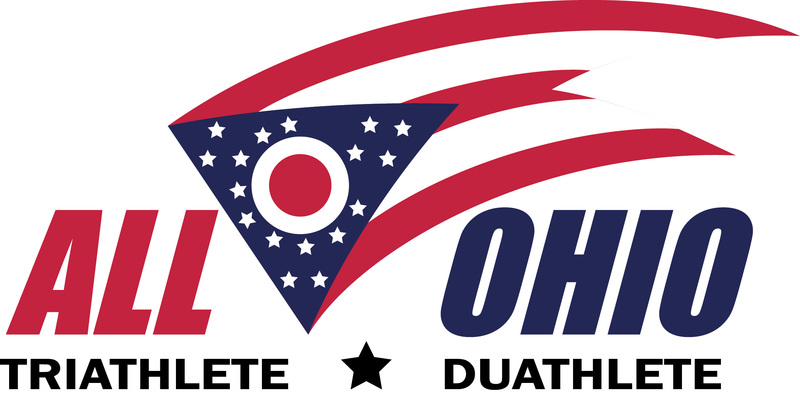 2016 ALL OHIO recognition has been given to the top 10% in each division in the HFP Racing Triathlon and Duathlon final rankings. 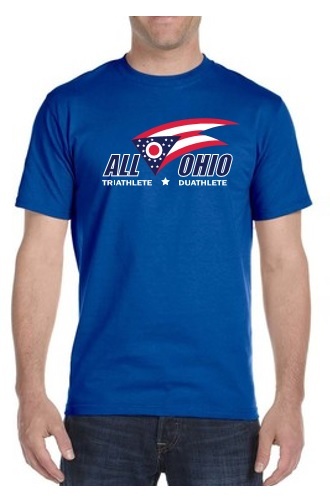 ALL OHIO athletes will be given an official 2016 ALL OHIO t-shirt recognizing their outstanding achievement. T-shirts will be mailed out to qualified athletes in February. A sophisticated algorithm that was developed by TriRegistration.com was used to determine the ALL-OHIO Rankings which ranked athletes participating in all HFP events regardless of distance. The points system gave the average time for each event 100 points (110 for Sprint, 120 for Olympic, and 130 for Half). Your points were the average time (in seconds) multiplied by 100, then divided by your time (in seconds). If you are faster than the average time, then you will have more than 100 points. This allowed us to get a consistent points system that isn’t affected by the number of participants in a particular event or by the time of the overall winner, which can vary greatly depending on who shows up. Your total points is the sum of your 3 highest point totals, so you must complete 3 races to qualify.